CIPHER Security, a leading managed security services provider (MSSP), announced today that Cybersecurity Ventures, the world’s leading researcher and publisher of the global cyber economy, placed the company on its annual list of 500 of the hottest and most innovative security companies in the market. CIPHER was the very first MSSP to be both ISO 27001 & ISO 20000 certified and also holds SOC I & SOC II and PCI QSA & PCI ASV certifications. CIPHER operates state-of-the-art Security Operations Centers and employs hundreds of security experts to serve customers worldwide. 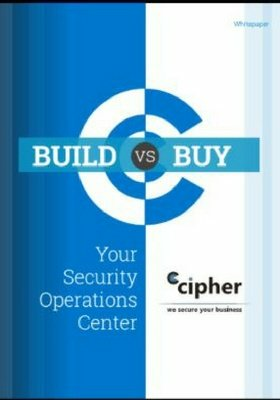 CIPHER offers two types of managed security services. First, if the organization needs new technologies, tools, and processes to monitor and manage today’s advanced threats, CIPHER’s fully-managed security services is an excellent option for CISOs looking to improve their security posture rapidly. CIPHER also offers co-managed security services that allow the organization to offload security monitoring and management to CIPHER and in turn, enables the in-house team to focus on strategic projects.